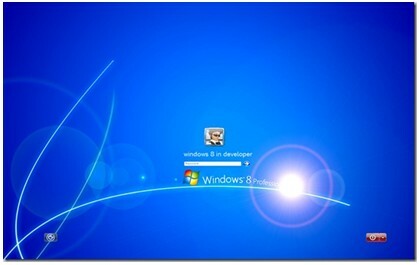 Windows 8 is the upcoming OS from Microsoft, so today here we will guide how you can transform your Windows XP/Vista/7 into Windows 8. Its simple and easy, for this you have to install the new Windows 8 Skin pack, which allows you transform your windows 7 into windows 8. The installation is very simple and enables you to choose the elements you want to modify. 8 Skin Pack also includes some extras to further enhance the looks of your PC. At the time of installation it will ask you to install UX Theme patch, Visual style and wallpapers. After the installation is complete, reboot your system for the changes to take effect. 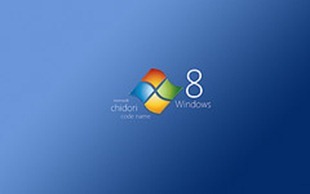 So you can use the new windows 8 skin pack on your windows XP/Vista/7 PC. After the reboot of your system, you will get the stylish new look with third party software such as Aura and Taskbar User Tile. By downloading Windows 8 transformation pack, you will receive the following in the pack. Download Windows 8 Transformation Pack for Vista here. 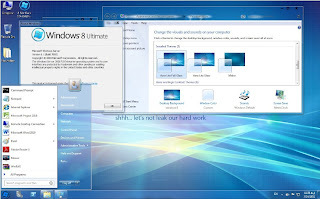 Download Windows 8 Transformation Pack for 7 here.